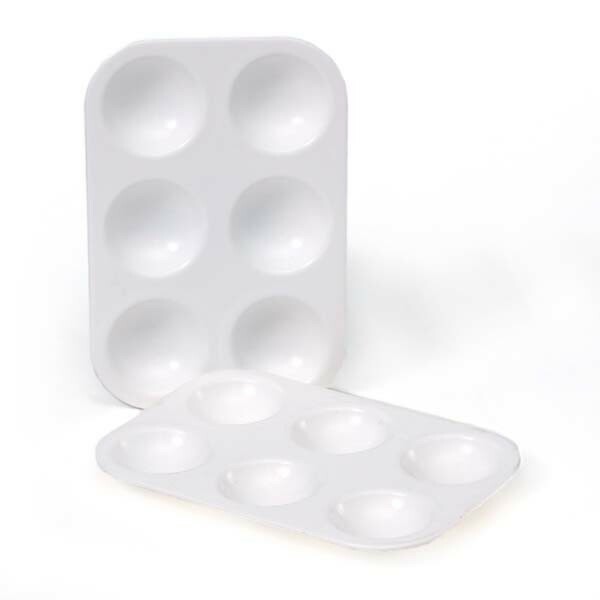 Details White rectangular plastic palette, 3.5 in. x 5.25 in. (9 x 13.5 cm), for holding paint in 6 isolated round wells in 2 columns by 3 rows.